Consumer loyalty isn’t just down to how good your product or service is. You might be getting glowing reviews of how your service is second to none or how your products are the God’s gift to the market, but customers are savvy. They’ll have done their research and will be armed with all the facts and figures needed to make an informed decision. In fact, you’ve probably never had to work harder to maintain or improve the performance of your sales teams to make those crucial sales or retain those customers of yours. On average, it costs businesses x5 times more to acquire a new customer than it does to retain them; so, it makes sense to keep your customer base happy to keep them coming back to you again and again. Plus, if you have customers who are willing to advocate your brand or service, you’re basically having your brand promotion done for free. In services such as insurance for example, that cost factor is hugely important. Unlike a physical product that will have its tangible pros and cons over rivals, people’s perception of a product like home or vehicle insurance will mainly come down to one thing: how much it costs. No one likes it when their insurance prices go up – regardless of who they’re with or what they’re insuring. Think about the last time you got your renewal quote through; if the price went up, did you simply swallow the price hike or hop onto a price comparison site to see who could do it for cheaper? We bet it was the second answer. When a customer’s product finishes or it’s time to renew a service, you need to ensure that there are reasons for them to stay beyond the bottom-line cost. ARE YOU REALLY LOOKING OUT FOR YOUR CUSTOMER’S NEEDS?  Brands who compete in sectors where bottom-line cost is king need to be in tune with their individual customers’ needs. They’ll know all about your products and services; so instead, focus on whether their choice is right for them, or if there would be a more suitable option available. Incentivising your employees to deliver a more personal approach that focuses on the customer or their own business demonstrates you’re looking out for them long-term. Better still, it’ll also show you value their custom and are putting their interests first. DO YOU UNDERSTAND WHY THEY’VE COME TO YOU IN THE FIRST PLACE? Even though there are a plethora of price comparison sites out there, don’t just assume your customers have immediately taken the cheapest option when making their decision. Yup, one of the main reasons a client has come to you is thanks to your reputation – not just because you were the cheapest option. Service counts for a lot. In fact, it’s been estimated that if a customer receives brilliant service from a company – especially when it comes to problem resolution – they’ll tell up to six other people about their positive experiences. Whilst your contact centres will no doubt have KPIs for delivering outstanding service or problem resolution, consider incentivising the behaviours you want to be promoting from within. Not only will it encourage a more positive workplace culture, but it will drive home that delivering a first-class customer service is something that can be recognised and rewarded. ARE YOU REWARDING LOYALTY TO YOUR BRAND? When a customer’s product finishes or it’s time to renew a service, you need to ensure that there are reasons for them to stay beyond the bottom-line cost. This is where rewarding their loyalty comes into play. Or offer an incentive or reward for their continued loyalty. The first option is often the first port of call for many; after all, why pay more for a service or product when you can easily go elsewhere? And it’ll often be the first thing a customer mentions when it comes to why they want to go to a competitor. The culture of discounting is without doubt shaping how sales teams operate and can be effective for ‘quick wins’ – but cutting the price of a product or service isn’t sustainable long-term. Instead, encouraging loyalty through rewards is a much more cost-effective way to retain customers without hacking into your bottom line. A loyalty or reward programme that can help improve them quality of live of the recipient will always trump a quick and short-lived discount. For example, offering a pre-paid gift card that can help earn exclusive discounts with other retailers or earn cashback on stuff they’d buy regularly will add value; because even if you’re selling something people genuinely love, you still need that something extra that makes you stand out. Love your most loyal customers, and you’ll attract new ones too – simple! Staying in touch with your customers and engaging with your target demographics via social channels is a great way to keep your brand front and centre. With more and more people looking to interact with organisations via social media instead of calls or email, having a social presence really does make sense. Make the point with engaging with them if they send you a direct message or post on your Facebook wall – this will mean you can provide a more ‘personal’ service and also gives you the opportunity to share exclusive offers, news or events to the people who choose to follow your brand. There are many other benefits to having a social media presence; but when it comes to brand loyalty, it’s a medium which can work wonders if managed effectively. WHO WERE THE BRANDS WHO GAINED THE MOST LOYAL CUSTOMERS IN 2018? Well, wonder no more! 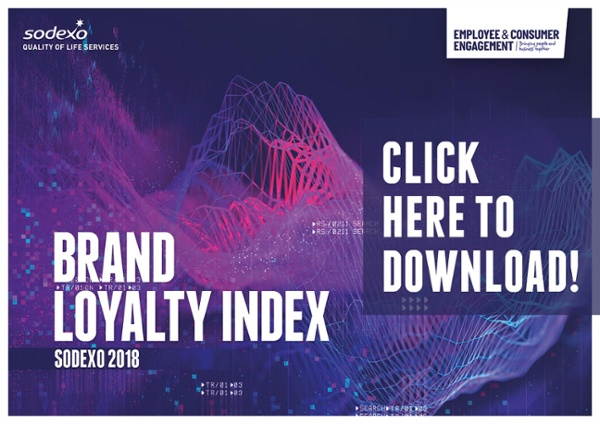 Check out our 2018 Brand Loyalty Index, which gets tackles the nitty gritty of brand loyalty and who's keeping their customers coming back for more again and again - just hit the link below to get your copy!